Sky Sports has announced it will broadcast the opening Formula 1 pre-season test in Barcelona live next month, delivering 20 hours of coverage. Sky Sports has held rights to broadcast F1 in the UK since 2012, and has become the exclusive rights holder for live coverage for 2019, but will expand its offering to the opening pre-season test in Barcelona. 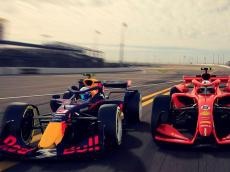 Sky announced on Monday it would be showing 20 hours of coverage across the opening four days of pre-season running at the Circuit de Barcelona-Catalunya on its dedicated channel, Sky Sports F1. It will show running from 1pm until 5pm UK time, followed by a one-hour analysis show from the paddock. This will run on each day of the opening pre-season test from February 18-21. Sky will also make selected highlights from testing available on its digital platforms. It marks Sky's most extensive broadcasting of F1 pre-season testing to date, having typically only shown half-hour round-ups at the end of each day in recent years. F1 has been rumored to be considering showing some coverage of pre-season testing on its digital platform, F1 TV, but is yet to formally confirm any plans.